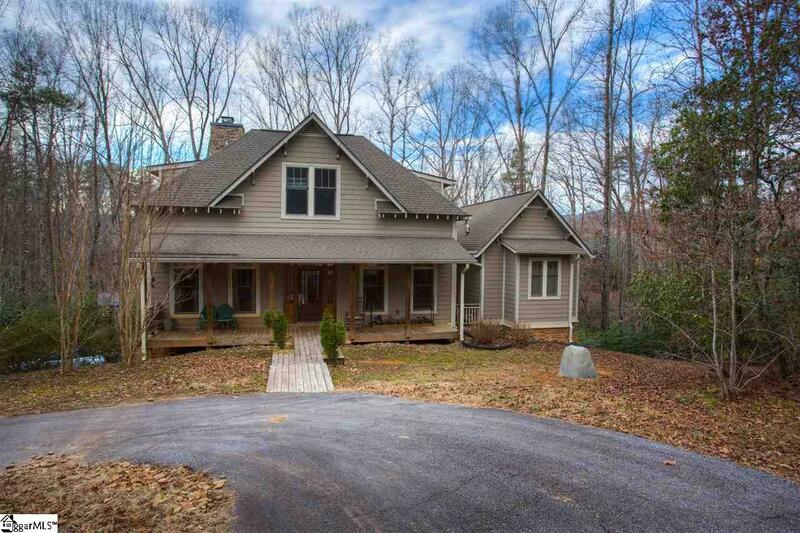 Come take a look at this beautiful custom designed home that sits on just over 5 acres and is approximately 20 minutes from Greenville, SC and Hendersonville, NC. The home has a beautiful antique front door, wood beams in the living room from an old mill, and a neat stone wood burning fireplace. In the kitchen you will see stainless steel appliances throughout as well as two separate sinks. The master in on the main floor and the master bath has a neat claw foot bathtub. This home is in a quiet neighborhood on a private road.